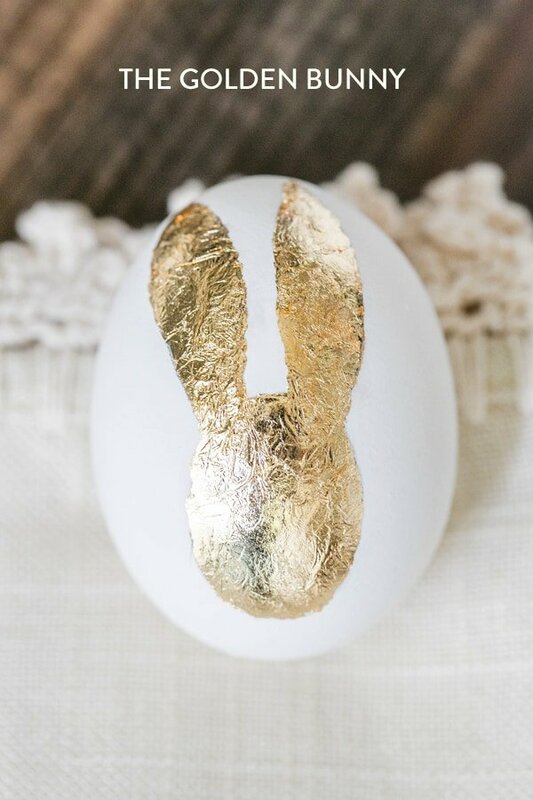 “I want my geese to lay gold eggs for easter!” Just like Veruca Salt, I wanted a few gold eggs for Easter, so I made it happen with some beautiful gold leaf. 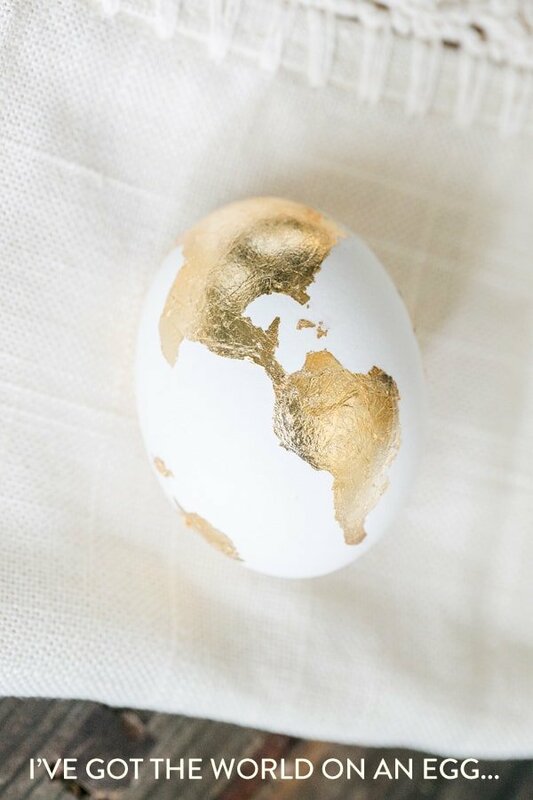 For my gold leaf Easter eggs, I created the world on an egg, a golden bunny and a simple heart. The heart was made using a heart sticker that I removed once my egg was covered in gold leaf. 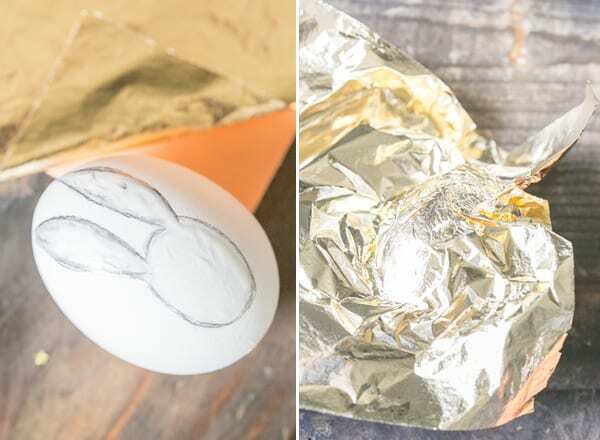 We created the bunny with an easy pencil sketch and the world I did by eye… which you can do too : ) Gold leaf is extremely delicate, so it tears easily and can stick to your fingers, but who said Easter egg decorating was clean? I had so much fun creating these eggs – I love doing creative projects that take concentration and focus. They let your thoughts rest and your right brain go to work! It’s kind of like yoga for the brain, haha! I’m in love with how these turned out. They’ll be a beautiful addition to my Easter decor this year. Using gold leaf glue, a paint brush and a pencil, draw your design. Paint it in with glue and then place a sheet of gold leaf over the top. Lightly tap it (it might lift, but that’s okay because you can fill the holes in later) and then give it a second before lifting the edges up. Your design will pretty much be laid in, but you’ll need to do a little touching up and cleaning around the edges. 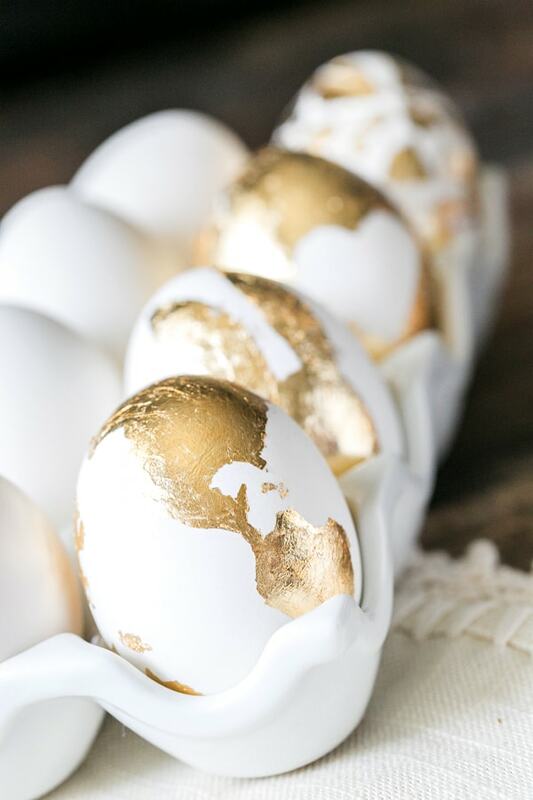 28 responses to Gold Leaf Easter Eggs! Wow, these these look amazing! Egg decorating *is* strangely fun, and I tried the flower and onion shell technique last year. I doubt I could bear to crack and eat these golden ones, though. These are too precious! I also think it is hilarious that you reference Veruca Salt. I literally sent an email to the folks at Karma quoting a line from Willie Wonka moment’s ago. Great movie. Great reference. Great idea. Win-win-WIN! I can’t handle how adorable this is – so, so creative!! Those are absolutely amazing – love them! chic eggs 🙂 I think I’ve just found my ‘theme’ for this Easter, thanks for the idea! OMG, I just came across your blog. This is so origional. 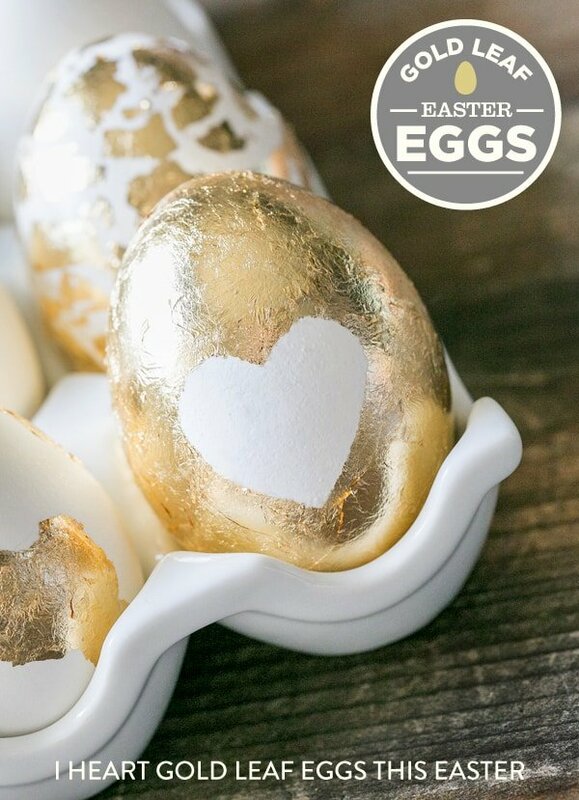 i love the gold leave egg! Thanks for sharing. These might be my favorite things ever right now. LOVE that gold leaf heart and bunny. Love love love. I featured it on my blog today! http://missloviecreations.blogspot.com/2013/03/12-unique-easter-decorating-ideas.html Stop by and grab a button if you like. Have a happy weekend!! I’m going to try this on hand-blown eggs so they’ll last forever! Thanks for the tutorial! I love this post and have included it to my Easter egg round up. Wow this is amazing! I like your stylish blog and your beautiful pictures! Would be awesome If you‘d take a look at my Blog – would love to keep in touch with you!!! Your eggs are so pretty! Love your blog too, glad I popped over! I’ve got this linked to my DIY Easter eggs post too today, for inspiration! That world egg is so perfect! I love them. Thank you so much for sharing this post. I found your Pin on Pinterest and have included your DIY in an Easter Egg Craft inspiration round-up on my blog. I love these!! So chic! Hi, really special:) We featured your eggs in out Easter Eggs roundup! Happy Easter! Happy Easter and keep on crafting!